The RSS Audio Podcast service is separate from our regular subscription packages. We offer it as a separate service. We have explained below how to get this in place. This is not an automatically activated service as we need to make sure a few things are in place before your RSS feed can be converted into an RSS Audio Podcast. We will do a few test runs with your cooperation to make sure everything is in place. On successful completion of all the above steps, your RSS Audio Podcast is ready to roll. Once you have made the subscription payment your account on ReadTheWords.com provides you access to setup your Feed details, which you can change anytime you want. How Much Does It Cost and Why should you Go For it? This service is for $150 a year. As such there is no limit on how many articles you can have in your feed and all the audio files are hosted on our servers, so your site does not have to deal with extra space or bandwidth issues. There are other online services which offer you the same functionality, but where we shine is that we offer you a level of customization which no one else offers. We let you setup a whole lot of things as shown in the screenshot . 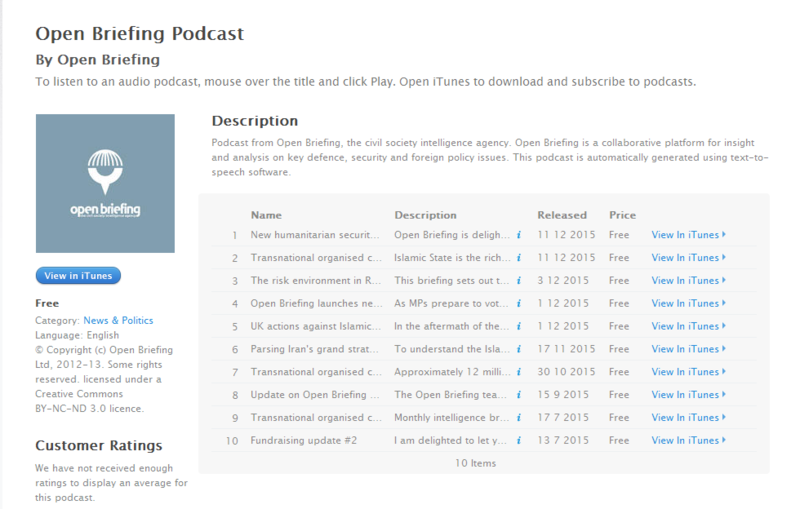 And best of all, the RSS Audio Podcast is fully iTunes compatible. What we offer is a value addition service to your website. This service is not for everyone, which is the reason why we have a screening process in place. So if you feel interested do drop us a line. We would be pleased to give you a free trial for 3 days (from the date we set it up for you) so that you can evaluate this service for yourself.